The Division of Early Childhood (DEC) and National Association for the Education of Young Children (NAEYC) Joint Position Statement and definition of inclusion. The US Departments of Education (ED) and Health and Human Services (HHS) Joint Policy Statement on Inclusion of Children with Disabilities in Early Childhood Programs. The US ED and HHS Joint Policy Statement on Expulsion and Suspension Policies in Early Childhood Settings. Each of these resources will provide you with a wealth of information and recommendations for practice. Please take a few moments to view and download a copy for your use. Inclusion of children with disabilities in supportive early childhood settings has been shown to benefit children with and without disabilities, families and the community. This webpage contains links to various state and national resources and documents to support providers in their efforts to include children with disabilities in their early care and learning programs. Contact information and links are organized in two different categories to assist providers with family referrals, information about specific disabilities, legal issues, and strategies for adapting learning environments to accommodate children with disabilities or other special needs. Bright from the Start: Georgia Department of Early Care and Learning offers supports for inclusion through a team of regionally based Inclusion Specialists. 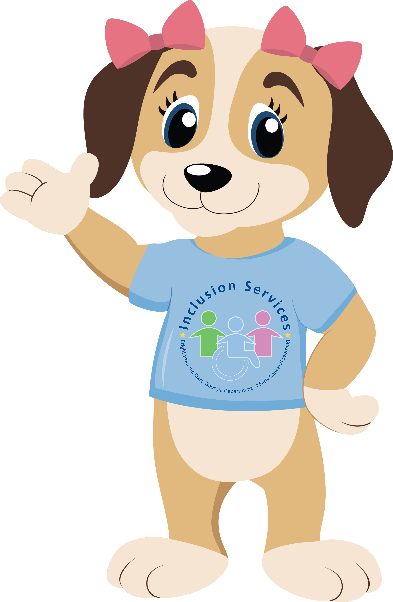 Inclusion Specialists provide a variety of resources, strategies and supports to programs, classrooms, and the community. These resources and supports include, but are not limited to: Bright from the Start approved training and Intensive Professional Development designed to empower child care providers, early learning professionals, families, and communities to identify and utilize resources, services, and supports to ensure that all children are successfully included in early care and learning environments. They also work to promote and increase inclusive child care options for children with disabilities and their families in their communities. Click here for a list of Inclusion Specialists by County. The Inclusive Child Care booklet is designed to provide information and resources to help child care providers successfully include children with disabilities in their early care and learning programs. 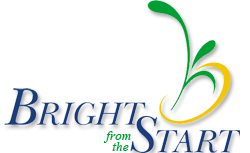 Providing Bright from the Start approved professional development for teachers, directors, and other staff. Providing technical assistance designed to support programs in identifying and addressing barriers to inclusion, including challenging behavior. Providing resources and information about inclusion and other topics. Assisting providers with referrals as well as linking them to community resources, such as Babies Can’t Wait and the local school system. *If you need support concerning individual children in your Georgia Pre-K Classroom, please contact your Georgia Pre-K Consultant. Inclusion Specialists provide Intensive Professional Development (IPD), a combination of on-site technical assistance, training, and resources designed to meet the needs of the program/teacher. IPD begins with a classroom observation, and focuses on assisting the center Director and teachers in developing and implementing an Action Plan to support the meaningful inclusion of all children in the classroom with a focus on classroom-wide strategies. Inclusion Specialists are available to provide a number of free, state approved trainings around the topics of Inclusion and Positive Behavior Supports. To view or register for scheduled trainings in your area please visit the Georgia Professional Development System for Early Childhood Educators. To schedule training at your site email inclusion@decal.ga.gov. For more information please contact us at inclusion@decal.ga.gov or your Regional Inclusion Specialist. Providing Bright from the Start approved professional development for Family Child Care Learning Home Providers directly onsite at their program and/or through Family Child Care Association Meetings. Providing technical assistance designed to assist FCCLH providers in identifying and addressing barriers to inclusion, including challenging behavior. Assisting providers with referrals and linkage to community resources, such as Babies Can’t Wait and the local school system. Inclusion Specialists provide Intensive Professional Development (IPD), a combination of on-site technical assistance, training, and resources designed to meet the needs of the provider. IPD begins with a program observation, and focuses on assisting the FCCLH provider in developing and implementing an Action Plan to support the meaningful inclusion of all children in the learning home with a focus on group-wide strategies. Georgia Department of Community Health Medicaid and Peachcare for Kids: Health care for children. Georgia Department of Education/Division for Exceptional Students: Information and resources for families regarding special education programs in public schools for children 3-21. Includes contact information for referrals to services. Georgia Department of Education/Scholarships for Children with Special Needs: Provides eligible children with the opportunity to attend another private/public school. Georgia Parent Infant Network for Educational Services (GAPINES): Provides services and supports for children birth to three who have sensory impairments such as blindness and hearing impairments. Georgia Tools for Life: This group's mission is to increase access to assistive technology devices and services for Georgians of all ages through help with scholarships and training. 1-800-497-8665. Lekotek of Georgia: This program will loan adapted and traditional toys to families to use at home and provides individualized support and resources. The program's goal is to make play successful and interactive for children with disabilities through the use of adapted toys and computer equipment. Americans with Disabilities Act: Information and Technical Assistance on the American with Disabilities Act. Commonly Asked Questions about Child Care and the American with Disabilities Act: Answers from the U.S. Department of Justice on common questions about the ADA. Department of Defense Special Needs Parent Toolkit: Comprehensive information and tools that are geared towards helping military families with children with special needs navigate the maze of medical and special education services, community support and benefits and entitlements. Families of Children Under Stress (FOCUS): Support group for families of children with disabilities and other special health care needs. Georgia Advocacy Office: The Georgia Advocacy Office (GAO) is a private non-profit corporation. Its mission is to work with and for oppressed and vulnerable individuals in Georgia who are labeled as disabled or mentally ill to secure their protection and advocacy. Georgia Council on Developmental Disabilities: Provides information and advocacy activities, program implementation and funding and public policy analysis and research to influence public policies that enhance the quality of life for people with disabilities and their families. Georgia Health Law Partnership: An interdisciplinary community collaboration among the Atlanta Legal Aid Society, Children's Healthcare of Atlanta, and Georgia State University College of Law to improve the health of low-income children and their families. Offers public health legal services to eligible families of children with health care issues. Parent to Parent of Georgia: A statewide nonprofit organization that provides support, information and resources to parents of children with disabilities ages birth through twenty-six. 1-800-229-2038. Project Healthy Grandparents: Support and resources for grandparents raising their grandchildren. Wrightslaw Yellow Pages for Kids: Listing of Georgia-based therapists, support groups and other resources for children with disabilities and their families. The National Center for Pyramid Model Innovations (NCPMI) : Training materials, resources, and research to support social and emotional development in young children. Center for Early Childhood Mental Health Consultation: Ideas for increasing children’s opportunities to practice social skills. Challenging Behavior in Infants and Toddlers: Tip sheets, brochures, videos and other resources to help families understand the causes of common behavior problems and ways to teach young children self-control and critical coping skills. Positive Beginnings: Resource for ideas to support children with challenging behaviors at home and in early education environments. Social Emotional Development in Infants and Toddlers: Tip sheets, brochures, videos and other resources to help families support social emotional development in their young children. Center for Early Literacy Learning: Provides research-based information and activities designed for use by parents and care providers to promote literacy learning by children with disabilities. First Words Project: Resources for families and early educators related to developmental screening tools and early detection of communication delays. Click here to download a brochure explaining the First Words Project and explaining how families can participate. Toddling Toward Reading: Information and activities to support early literacy for preschoolers. Birth to Five Watch Me Thrive: Information and resources for families, early learning professionals, community members and others on healthy child development, developmental monitoring, and developmental and behavioral screening. Easter Seals Make the First Five Count: Developmental information Families can complete an online Ages and Stages Questionnaire and have results and suggested activities emailed to them. Learn the Signs. Act Early: Brochures, videos and other resources for families and early educators. Understanding Your Child’s Development: Information and resources for families to increase their knowledge and understanding of developmental milestones for children birth to three years old. American Academy of Pediatrics:The American Academy of Pediatrics (AAP) promotes pediatrics and advances child health priorities in a variety of ways including developing policy, conducting research, lobbying Congress, building coalitions, raising public awareness, funding community-based projects, and supporting training and professional education. Learn more about the great work being done! Healthy Children.org: Information and resources for families supporting optimal physical, mental, and social health and well-being for all infants, children, adolescents, and young adults. American Federation for the Blind: provides information and resources for people with visual impairments and their families. Families will be especially interested in the Family Connect section which is geared toward children and their families. Autism Speaks 100 Day Kit for Newly Diagnosed Families of Young Children was created specifically for families of children ages 4 and under to make the best possible use of the 100 days following their child's diagnosis of autism. Body and Mind: Site sponsored by the Centers for Disease Control with health and safety information for children. Cerebral Palsy: United Cerebral Palsy of Georgia site providing community- based supports and resources to families with children with developmental disabilities. Epilepsy Foundation of Georgia: provides support groups, educational resources, advocacy and other services for Georgians with epilepsy/seizure disorders. Feeding Tube Awareness: Provides information about reflux and the use of feeding tubes. There is also a message board where parents can post questions and concerns. Juvenile Diabetes Research Foundation: Resources and an online diabetes support team as well as practical information about diabetes and its management. Spina Bifida Association of Georgia: provides information and support to families and caregivers of children withSpina Bifida. DECAL'S Inclusive Early Learning Week: Mark your calendars and plan meaningful ways your program, children, and families in your community can come together to celebrate inclusion. Early Red Flags for Autism: Information about red flags and a list of some early red flags of Autism in Toddlers. This resource also includes links to the First Words Project and social communication growth charts. Head Start Center for Inclusion: Resources and tools to support inclusion of young children with disabilities in early learning environments. Individualizing for All Children: Resources and information on differentiating instruction for children who learn differently. Kids Included Together:Training, videos, mobile apps and print materials on strategies for including children with disabilities. Resources include a call-in support center, annual national conference, and child-specific consultations. National Center on Quality Teaching and Learning: Information, resources and videos designed for early educators. The Early Childhood Technical Assistance Center: Information for educators on topics related to special education and inclusion. Resources include webinars, research publications, practice guides. Watch Me! Celebrating Milestones and Sharing Concerns: This FREE, online training course, Watch Me! Celebrating Milestones and Sharing Concerns, provides tools and best practices for monitoring the development of children in your care and talking about it with their parents. Completion of these modules earns one hour of Bright from the Start approved credit.